Whizz Hosting Review 2019: Is Whizz Hosting a Good Hosting? Based in the U.K., Whizz Hosting is a fast-growing hosting service that deals in domain registration/transfer and shared cPanel hosting. Its plans are affordable, servers SSD-powered, and email support is available 24/7. Whizz Hosting offers standard shared hosting services with cPanel and domain registration services to mostly U.K. customers. It operates robust servers which run on CloudLinux and are connected to SSD storage. Customer support is via telephone and email. 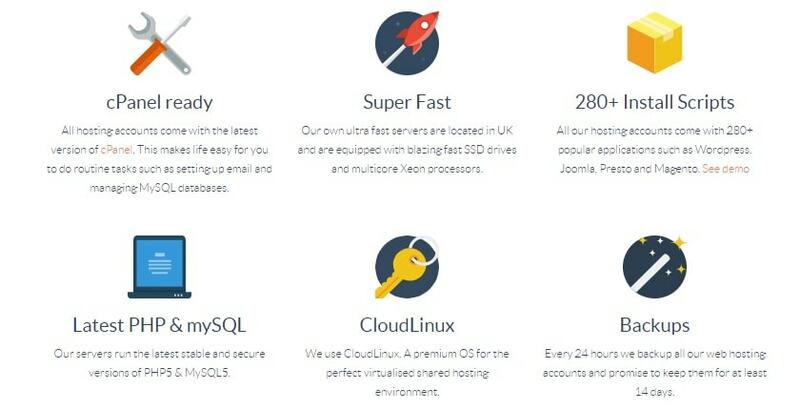 Whizz Hosting uses CloudLinux, a premium OS ideal for creating a secure virtual shared hosting environment. Servers are powered by multi core Xeon processors and connected to fast SSD drives. Though there’s no mention of an uptime guarantee, I would bet they’re fast and stable, based on the infrastructure alone. Each shared hosting account comes with the latest version of cPanel. Under the panel, you’ll find the Softaculous one-click installer which carries over 100+ open source scripts including Joomla, WordPress, PrestaShop, and phpBB among others. Simple and user-friendly, the panel lets you set up emails, databases, FTP accounts, and more. Before I move to a new hosting service, I typically look at how it handles customer data and whether it backs up websites. Whizz Hosting carries out backups every 24 hours and data is stored for a period of 14 days. You shouldn’t worry about accidental loss of website files, emails, or databases as it offers an easy restoration option. I found it a bit misleading for Whizz Hosting to have a “See Demo” option when the cPanel demo access is disabled. Nonetheless, I had an easy time navigating the website. It took me roughly 10 minutes to look at the site’s features and to compare its hosting packages. Being mobile responsive, the website is accessible on PC, tablet, and smartphones. With a range of cheap hosting plans, Whizz Hosting gives its customers options that suit their needs and budget. Its starter package (Mini) can host just one website while Midi, the intermediate package, can host roughly five. 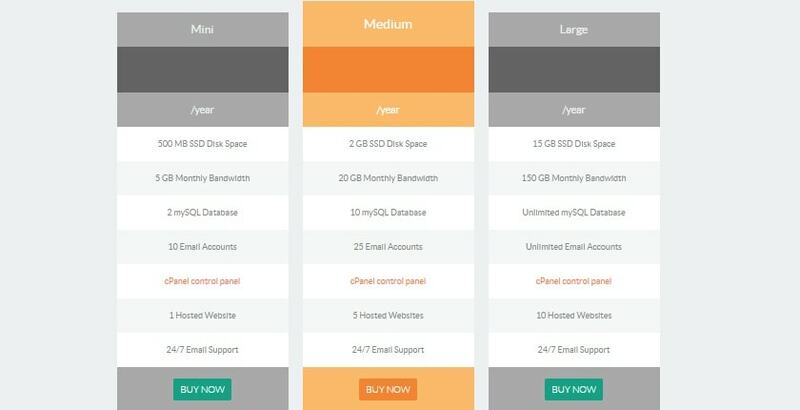 If you need more storage or bandwidth for your websites and emails, you may want to consider the large package. All three plans include free DNS management and ID protection. Whizz Hosting seems to be rather close mouthed when it comes to sharing info. There’s no mention of uptime, refund, cancellation, or trials. Unless the owners are not straightforward, I fail to understand why they would omit such key information from the website. Curious to know how long a website transfer would take, I shot an email to the support team. I thought they would get back to me within 24 hours, but 48 hours later I was still waiting for a response. I believe they can do better with email responses, considering it’s a pet peeve for any customer who’s stuck. If you desperately need help, you’re better off calling the tech support team. Whizz Hosting is suitable for customers looking for fast and economical hosting services with standard features for their websites. Wondering how Whizz Hosting stacks up against other Web Hosting companies? Enter any other Web Hosting company and we will give you a side-by-side comparison.